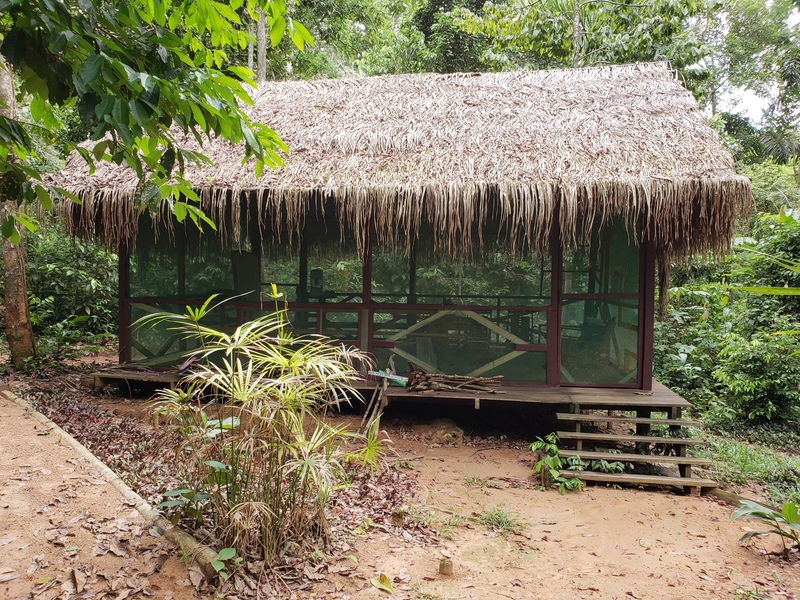 After a good rest to recharge our energies from 2018 medicine work, Novalis in the Peruvian amazon will be hosting a medicine retreat for May and June of 2019.We will be working with the medicine team of Loyver Yui, Roberto Yui, Jessica Simmons, Breanna Shannon, and Juan Zuniga. Upcoming dates - 2019 (these retreats can be combined). 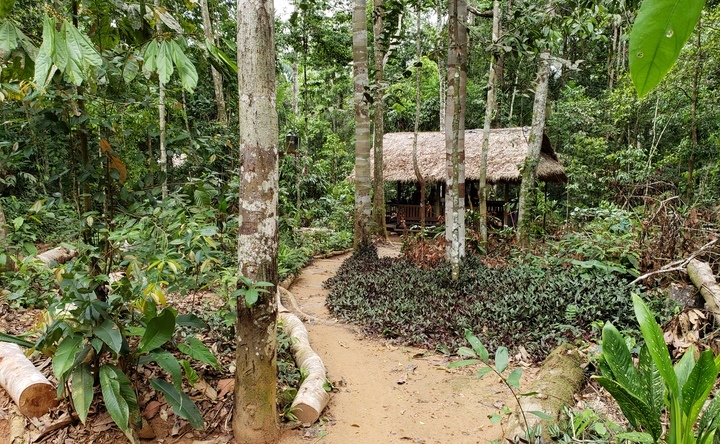 At NOVALIS we offer ayahuasca retreats for private groups of six to eight participants at our treehouse home in the jungle of south-eastern Peru. All of our work aims to be individualized. 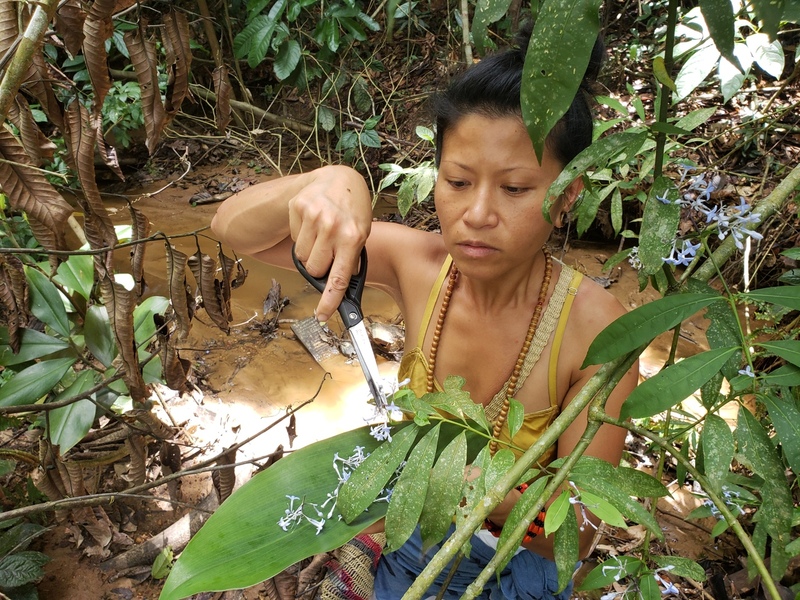 Please see our website for more information about how we work with Amazonian plant medicines. We offer sliding scale payment options and a service exchange option. We believe in accessibility, and that medicine should be available for all people who can take it safely. Below are the amounts we would like to receive in exchange for our work, so please let us know if you are low-income, from a country with a different economic reality, or are unable at this time to afford it. 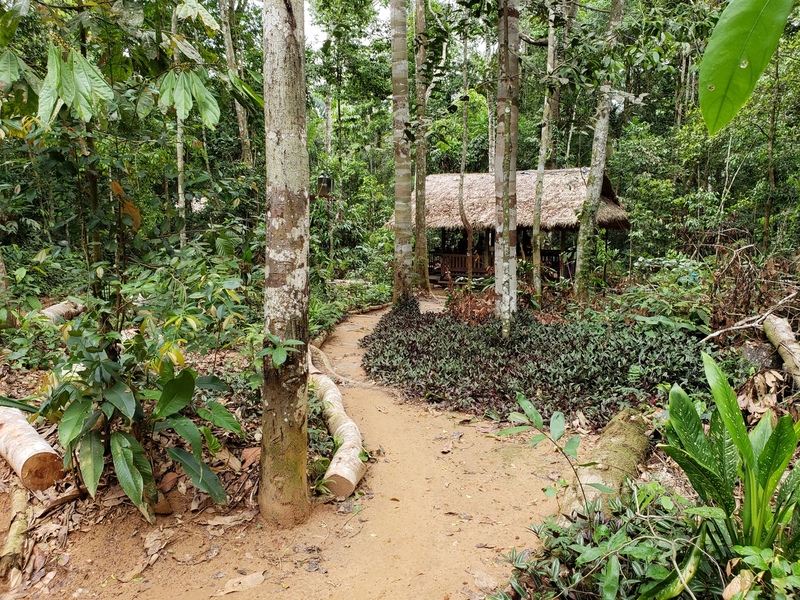 All profit goes to rainforest conservation (please see our website for more about our work), caring for our center, modest monetary reimbursment for people working during the retreat, and costs of your stay. It is directly reinvested into our work, and the people here. If you have any questions about how your money is spent, please ask us :) Thank you so much for your participation. We wish all beings health and well-being. -Service work-exchange, full commitment $1000, we also offer partial exchanges. 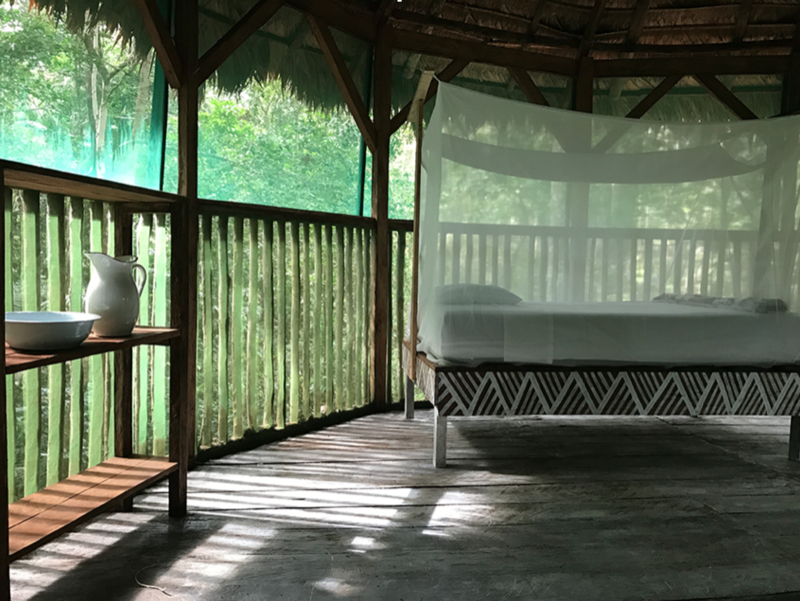 Accommodation in our shared tree houses completely screened in from mosquitos, with netting provided over the beds, comfortable mattresses, fresh sheets and lanterns. Transportation from Puerto Maldonado to NOVALIS and back (forty minute car ride followed by a forty five minute beautiful boat ride along the river, and a forty minute scenic hike through the rainforest). 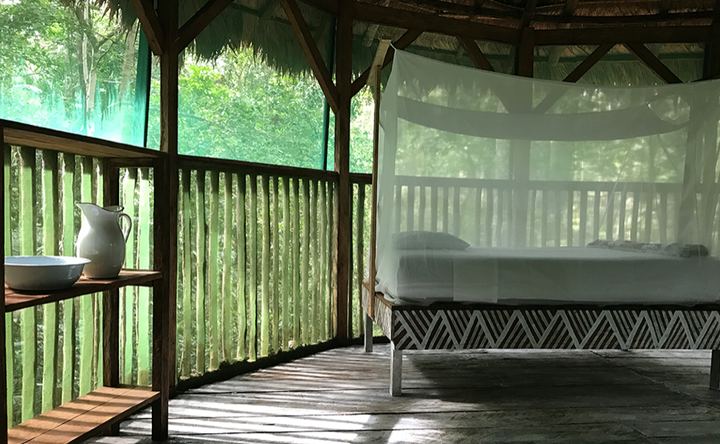 Accommodation in our shared tree houses completely screened in from mosquitos, with bug nets provided over the beds, comfortable mattresses, fresh sheets and lanterns. Possibility to take part in preparation of the medicine (depending upon the timing of cooking and a particular retreat). Daily integration circles and personal accompaniment in approaching the integration process and developing tools for lifelong personal health and wellness practices for mind, body, and soul. We are located 2 hours outside of the city of Puerto Maldonado. Puerto Maldonado is a jungle-hub, and one of the closest modern forest access points to Cusco. 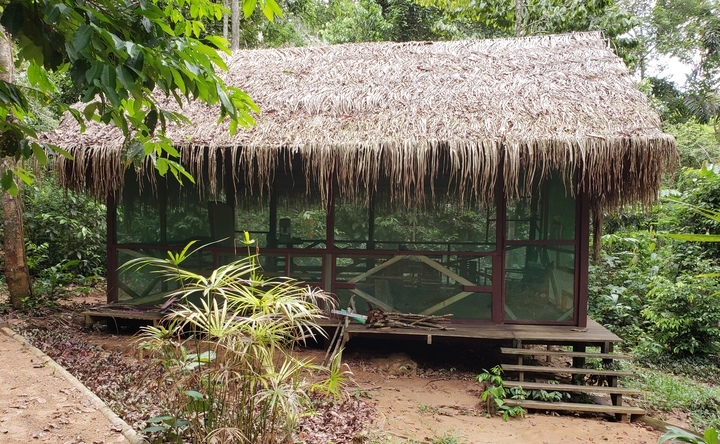 Our retreat center is located on 2000 hectares of primary rainforest in a working Brazil Nut concession, along the Las Piedras River, of the Madre de Dios Region, near of Puerto Maldonado. Our facilities include: gardens, ceremonial maloka, kitchen, dining room, staff house (casa grande), workers house, 3 treehouses, 4 tambos, outdoor showers, compost toilets (located at all lodging sites & communal sites), a bathhouse (with hollowed out tree trunks, open facing the jungle), nature trails, a creek, fresh spring water (tested in Canada, drinkable straight out of the ground! ), and an abundance of wildlife including monkeys, exotic birds (including macaws! ), wild cats, etc. We have cats and dogs. (the day before your retreat begins) - A meet and greet (5pm) with the group and retreat facilitators for an informal get together to ensure everyone is ready for departure next day. Last day of the dieta. We typically will serve only two meals on days of ceremony, as it is helpful to limit stomach contents when ingesting ayahuasca as it will increase nausea and likely distract you from deeper processes. That said, we often encourage people to discover their personal rhythms and practices, and many people suggest not being weak and lethargic during ceremonies due to low caloric intake. Accordingly, if you tend to have lower blood sugar and need more consistent meals we often recommend eating a banana a few hours before ceremony or something similarly readily digestible. 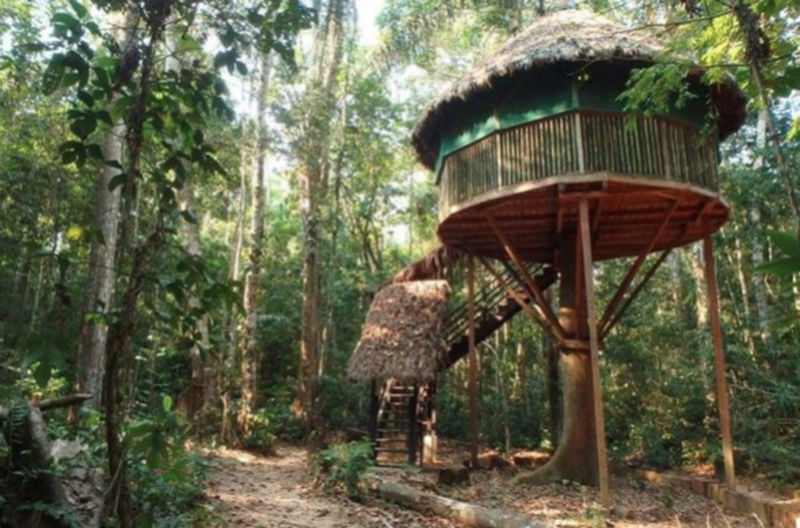 You will be housed in one of our treehouses, 7m off the ground. 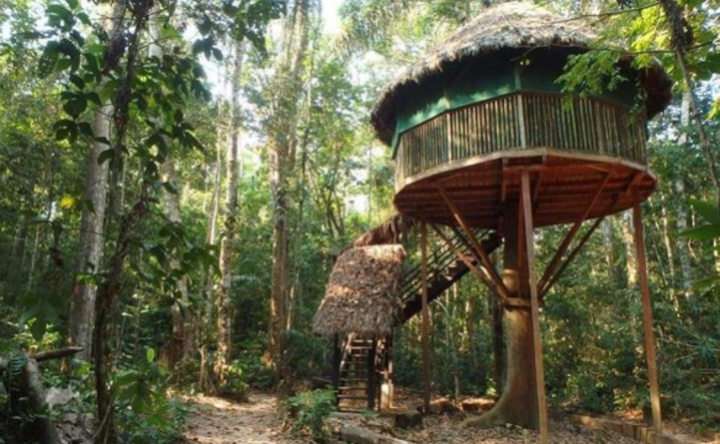 Each treehouse has room for 2-3 people. You have access to fresh spring water, medicinal baths, running water, and composting toilets. 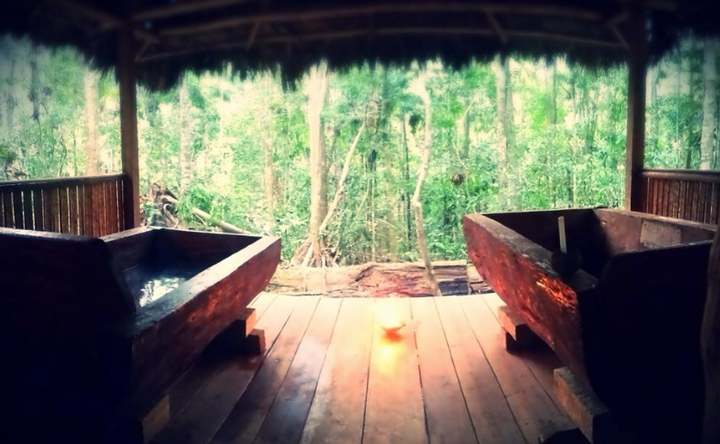 Our treehouses are always one of the highlights for our guests, and rightfully so. They were designed by a group of specialists from Canada, Vivre Perché Inc., and were built by hand and handheld machinery onsite by our staff. They are circular structures that can hold three people with plenty of personal space, they are equipped with very comfortable beds with bug nets and all necessary bedding, night stands and shelves for personal storage, and lanterns for lighting in the evenings. We will also have private tambos available. All the bathrooms are shared, and composting toilets. Please meet in the city of Puerto Maldonado the day before the retreat begins. We will take care of all transport to and from Puerto Maldonado. Treehouse Lodging. Small group retreats with personal attention. Flexible Pricing. 2000 hectares of Virgin Amazon Rainforest. Volunteering.Our goal is the protection of 2000 hectares of Amazon Rain Forest. For this we have decided to operate as a platform that offers the necessary space for the implementation of projects where all work can be carried out under the concept of collaboration and harmony with nature. We are an open laboratory for human/nature interaction in this part of the world. 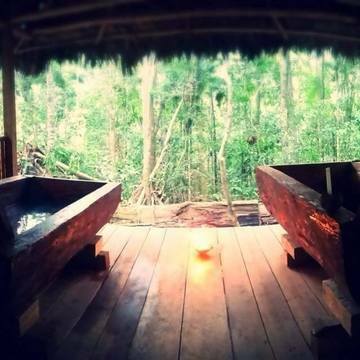 We offer ayahuasca medicine retreats, nature retreats, and artist residencies.Keeping our retreat groups exceptionally small ( 6 -8 people), allows us to provide personal attention to each of our guests and to keep the atmosphere of a small family house in the deep forest.Each retreat will offer you: - Transportation from Puerto Maldonado to Novalis- Accommodation in our shared tree houses completely screened from mosquitos and with mosquito netting provided over the beds.- Ayahuasca ceremonies (the number dependent on the type of the retreat)- Individual health consultations, if required- Flower baths and cleanses ( optional )- Individually selected plant dietas (depending on the type of the retreat)- Pre- and post- ceremony sharing circles- Jungle walks- Locally grown vegetarian food cooked with love- Translation from Spanish to English Our home is located in the middle of primal rainforest full of animals and birds and we offer unique tree house living as a way to re-connect with nature. 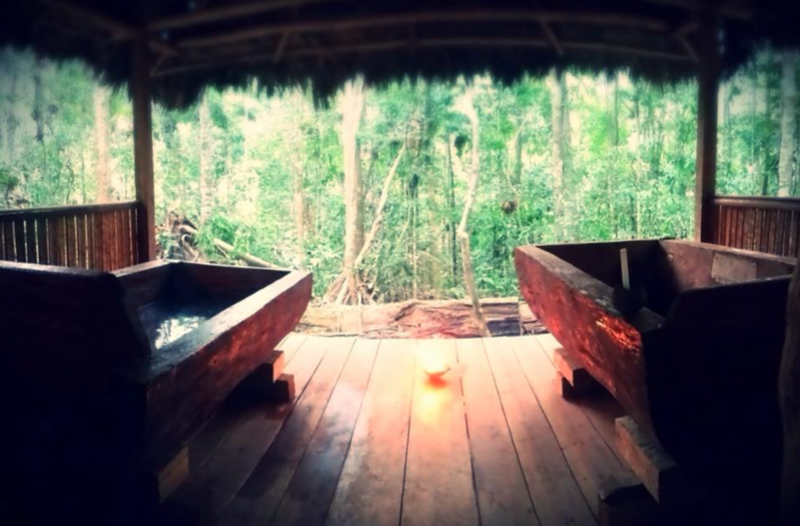 We offer flexible pricing on our Ayahuasca retreats, shamanic plant dietas and work exchange opportunities.Novalis offers various options for accommodation and can host between 6 and 12 people at a time in our 3 double occupancy treehouses or the ground level 4-bedroom house. We are also available to host any guest retreats that might benefit from the rainforest setting. All our houses are completely misquito-proof and built with locally sourced lumber, often from salvaged wood and with focus on simplicity, sustainability and functionality.Loyver Yui Lopez is our vegetalista and he conducts our ceremonies. He is a shipibo from the Alto Ucayali community of San Fransisco and learned to work with rainforest plant medicines under the tutelage of his mother, who learned with her grandfather, father and father-in-law. Loyver's mother recounted her many experiences of Medicine and ceremony to her young son. Loyver sings, helps oversee ceremonies and is a visionary painter. You can see his paintings in the photos. Best experience of my life!!! Great learning expérience in a beautiful and safe place. Loyver is from the Alto Ucayali region, and was born in the community of San Francisco de Yarina Cocha. As a young boy he was first initiated by his mother, a healer who was trained by her grandfather, father and father-in-law, who recounted her many experiences of Medicine and ceremony to her young son. Two important lineages came together in Loyver (or Wesha´kea, his Shipibo name, which signifies 'infinite patterns of possibility'): the lineage of his maternal grandfather, who contacted him in dream from early age and taught him to dream lucidly, and the lineage of his paternal grandfather, a traditional Shipibo ayahuasquero. 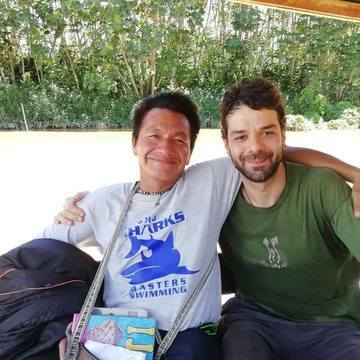 Loyver learned how to heal with ayahuasca and the pharmacopeia of the rainforest through many years of ceremony and dieta in isolation. Loyver also traveled through the region of Ucayali to study and take medicine with other masters and some relatives during his young adulthood. He also works as an artist, exhibiting his paintings throughout Peru. His paintings tell the most exquisite tales through expressing some of his experiences with the medicine. 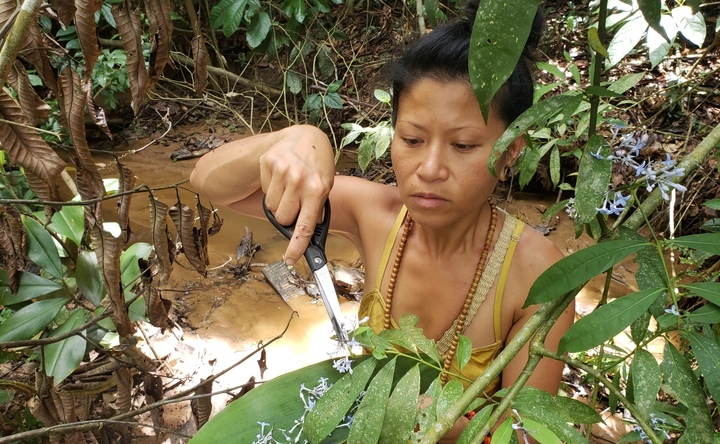 Peru - Shipibo Cultural Activist - Vegetalista Roberto is shipibo from the Alto Ucayali community of San Fransisco and learned to work with rainforest plant medicines under the tutelage of his mother, who learned with her grandfather, father and father-in-law. Roberto is the older brother of Loyver. He is a teacher in his community at a local school. Roberto sings, helps oversee ceremonies and gives lessons on shipibo culture, language and on medicinal plants.